Nordic style continues to captivate interior design, delivering a minimalist decorative style in contemporary home design. At its core it is based on the beauty of simplicity and naturalness, practicality and minimalism. It’s a style that can now be found in homes around the world, but the trend was born from the cold outdoor temperatures and limited daylight hours found across Scandinavia, with the aim to create an interior purity and brightness that would combat lack of natural light with the predominance of white and light tones. The style is now more commonly used to create interior spaces that have a visual cleanliness and use light colours to multiply natural light and give a feeling of enhanced spaciousness and calm. Interpreted this style into today’s modern bathroom design, opting for both white flooring and walls is the perfect choice for being truly faithful to the most original Nordic style. It oozes simplicity, beauty and style, and furthermore connects the room with a feeling of peace and serenity. Our Porcelanosa bathroom and tile collections combine a range of products that deliver on creating a sophisticated Nordic atmosphere – perfect to design a calming bathroom retreat that will remain timeless and sophisticated. 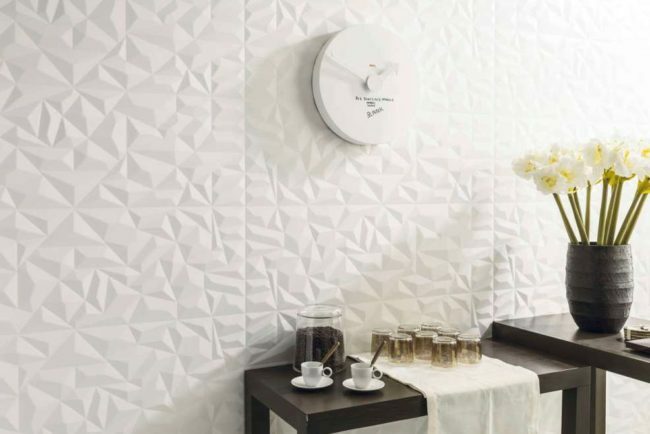 You can introduce interest with textured white wall tiles such as the white Lavagna collections, rectified Monoprosa or Sweden. Or L’Antic Colonial offers a ceramic collection called Signature which offers multiple finishes and tones that create the perfect light Nordic atmosphere. Wood is another crucial element in Nordic inspired design, because if there is something that defines this style, besides the predominance of white, then it is its commitment to materials and textures that come from nature. 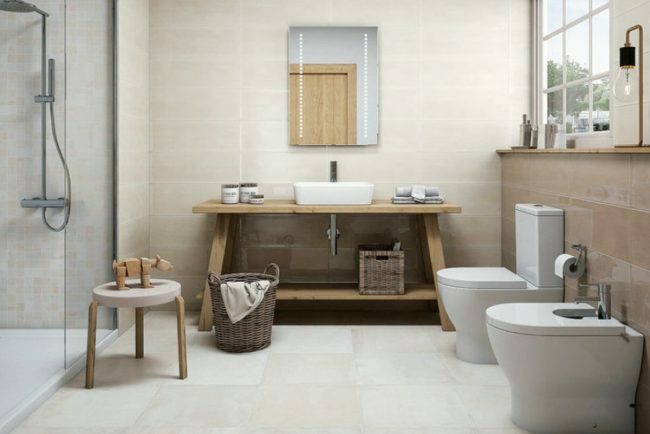 Natural wood, especially in lighter tones, can define a simple, warm and welcoming space that makes being in your bathroom during the colder months of the year a cosy and pleasurable experience. Introducing wood effect flooring is an effective way to capture this style. 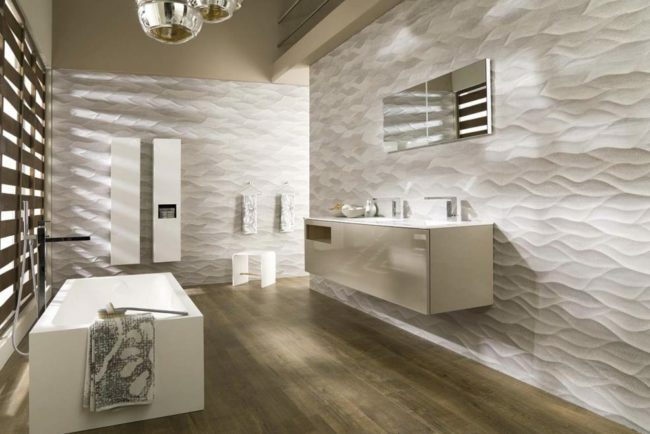 Our ceramic wood effect tiles are ideal for use in bathrooms and are water resistant and easy to maintain. Try the Manhatten collection, full of Nordic wood inspired finishes. Wood is also very much present in Scandinavian style furniture. Simple and functional designs, based on straight and pure lines, can be found in abundance in our extensive Porcelanosa bathroom furniture collection. Even though Nordic style’s started at the beginning of last century, by maintaining both its essence and origin, the design trend has been developed with the addition of new materials such as marble, brass and metallic colours like gold, silver and copper – alongside natural materials such as cotton, linen or wool. At its essence though, the powerful ‘less is more’ Nordic style remains prevalent, creating both a minimalist and practical spaces that delivers effortless style. If you are inspired to create your own Nordic Sanctuary, you’ll find even more inspiration in our new design studio.